Stellar is the cryptocurrency that aims to help you send fast payments abroad – both securely and quickly. If this is what you need from your digital currency, then you are likely to need the services of our Stellar Calculator. Our Stellar Calculator will allow you to work out how many lumens you can get for your fiat currency and then reverse the process, calculating how much your dollars, pounds, euros, etc. will buy you. Using our Stellar calculator is the easiest way to draw together all the data you need to make a decision about your investment. Value in USD or EUR or GBP, etc = exchange rate x amount of Stellar. To then work out how much your Stellar amounts to you merely reverse the calculation. Saying that this is a simple formula underestimates the data needed for the Stellar calculator to work. 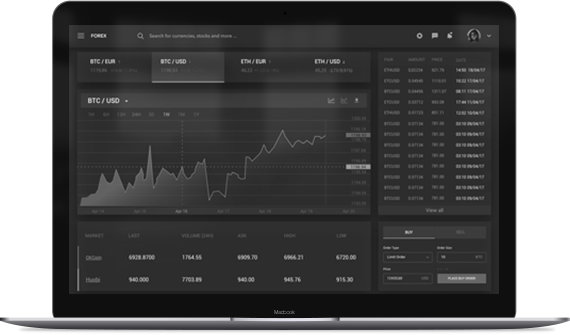 The current exchange rate of currencies and the current price of Stellar are tracked and used to make the Stellar calculator work. The calculation of price and value is made more complex by the fact that Stellar cannot be directly be bought with fiat currency. It is likely that you are going to have to buy Bitcoin, Ethereum or Litecoin and then use a Stellar converter to make your purchase. Our Stellar calculator is the most accurate way to judge the value of your investment. The prices are real-time, making all the data up-to-the minute accurate. As cryptocurrencies can move up and down quite quickly, this real-time functionality is the reason our Stellar calculator is so effective. It is particularly important to use the Stellar calculator if you are new to investing in digital currency – as it will help you to understand the trends that will inform your decision-making. Using a Stellar converter is a little more complex than other cryptocurrencies. This is because you cannot buy Stellar directly with fiat currency. This means you are going to have to exchange your dollar, euro, pound or other currency for more mainstream digital coins, such as Bitcoin, Ethereum or Litecoin. This need for conversion to another cryptocurrency happens in both directions – when you are buying and when you are selling Stellar. This sounds complex and therefore using a Stellar Converter may appear too difficult. However, the truth is that converting from one coin to another and then converting this other coin into currency is as simple as buying and selling items online. Also, Stellar Lumens are the cheapest and quickest means of transferring funds abroad – therefore – even if investing seems too much of a hassle – this may not be the point. The reason for using a Stellar converter is to quickly get money across borders. The interest of banks in Stellar suggests that there will soon be a critical mass of usage that will make Stellar’s position secure. At this point, it is probable that the use of a Stellar converter will become even simpler. It is likely that you will use an exchange site to convert to Stellar and back again to fiat currency. These exchange sites are websites that allow a connection between the buyer and seller – some are so direct you can meet the other party in person – or just answer an advert. Most sites act as a broker and handle and secure the transaction. Use of these exchanges requires some shopping around – and it is a good idea to use our Stellar Calculator before comparing the prices available on different sites. Remember that the Stellar Calculator will not factor in fees. Therefore, you need to pay attention to percentage fee you will pay on each transaction when using a Stellar converter. You also need to consider the level of security offered by your choice of exchange. Look to see how much currency is held in cold storage. This is the amount the site stores offline, where it is not susceptible to hacking and other security threats. The more that is held in cold storage the less liquidity the site enjoys. If you are looking to make a large exchange of currency, then you may face barriers. However, even 5% liquidity likely means there are millions of Lumens available. Finally, check our whether your Stellar convertor is open to scrutiny by regulatory bodies. A lot of US sites are happy to be scrutinised by state-level financial bodies. The same may not be true all over the world. Although regulation seems counter to the philosophy of cryptocurrency, some scrutiny of sites such as this should inspire confidence in the user. You can use a Stellar converter, which is an API that accesses exchanges, and you can buy and sell with a simple click. You are likely to use Stellar when you want to send funds across international borders quickly and with low fees. This is what sets the Stellar coin apart from others – as it uses anchors in different countries to facilitate almost instantaneous transactions. If you want to send money from the US to China, then the transaction is processed by an anchor in American sending Lumens to China and then the anchor in China converting these to fiat currency for the receiver. This means that people who buy and hoard Lumens are likely to be these anchors, who need the liquidity to fulfil the transfers from country to country. However, you can purchase Lumens and hoard them in the belief the value will go up too – though it is less likely than other altcoins. Here the currency is a transfer mechanism that seeks to compete with ViSA, PayPal and SWIFT – the difference here is that the transfer is instantaneous – rather than taking between 3 and 5 days.